Choose the ultimate companion to learn the art and science behind perfect espresso beverages. Record your espresso knowledge and skills in this useful workbook. Select these guides for easy reference to everything about espresso. 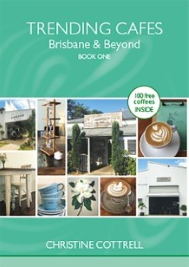 We’ve published a new book …TRENDING CAFES Brisbane & Beyond. Buy a copy & get 100 free coffees from the 100 cafes featured. Costs $25 but worth $400 in FREE coffees! 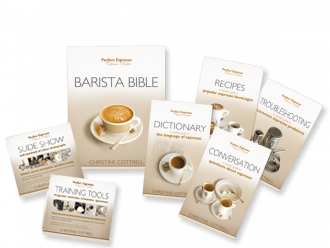 You can get a copy by emailing christine@perfectespresso.com.au. Or call 0407 021 220. The first in a new series, TRENDING CAFES Brisbane & Beyond features cafes across Brisbane and along the coastal strip from Noosa to Ballina. The best bit is, if you buy a book, this entitles you to one free coffee at each of the cafes. As any foodie who has dined at a good restaurant in Paris, visited one of the many sidewalk cafés or taken their morning caffeine in a small picturesque village knows, coffee in France is lagging behind that in most other European countries. But I am pleased to report that this is now changing – in Paris, at least. One has to wonder why the coffee is so bad when the food is always so good. I haven’t unearthed any plausible reasons why the French have continued to accept such nasty tasting coffee for so long, but a little research reveals a few interesting things. How fortunate we were that this year, World of Coffee was in Nice in the south of France. What a wonderful event it was – from the coffee folk we met to the food we ate. Our stand attracted the usual stream of international visitors with Training Packs selling now in South America, confirming our decision to do a Spanish translation some time in the future. We met Marta, a lively girl from Guatemala, who invited us to her coffee tasting and to visit her mother’s coffee plantation. We tasted her coffees (which were exceptional) and promised to visit her mother. The time was short, but we cemented one of those friendships you know you will have forever, despite the distance. You will find her by Googling ‘Coffee Bird from Guatemala’. She has collected some fine coffees from all over Guatemala and I recommend you try them yourself. The second edition Barista Bible has arrived! 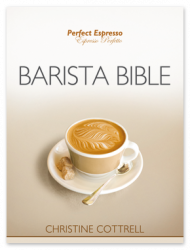 This exciting second edition of the globally recognised Barista Bible is the culmination of research that began four years ago – as soon as the first edition appeared on the market. We do understand that things change very quickly in the coffee world! Having worked alongside some of the best baristas and coffee experts, attended numerous trade shows and events, read an enormous number of trade publications, listened to lots of lectures and tuned into countless forums, we have gathered a wealth of new information. Driven by a passion for coffee and a search for the truth about espresso, Christine connects with baristas and coffee experts around the world – strengthening her skills, knowledge and research – to become the ultimate authority on everything about espresso. In 1999, with more than 20 years of experience in teaching and working in the hospitality industry, Christine established Coffee Education Network and since then has helped thousands to improve their espresso techniques and to more fully appreciate the espresso concept. As well as teaching classes, she presents at conferences, social functions and events and has written the Perfect Espresso series of books and training resources. In 2009 the first 10 publications were presented to Australian coffee enthusiasts. Following their success in the hospitality, retail and education markets in Australia, they will be released internationally at Caffe Culture 2010 in London. In the future, you can look forward to more Perfect Espresso publications Christine is currently working on. 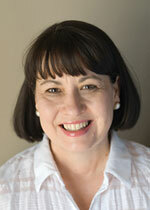 Christine’s extensive research about espresso was the start of a journey she now shares with her husband Paul. Together they continue on a crusade that leads them all over Australia – from coffee plantations in north Queensland and northern New South Wales to Melbourne and Sydney for discussions with roasters and blenders. The pursuit of excellence in espresso also takes Christine and Paul to Europe, collecting conversations with espresso experts and stories from long established cafes; to South America and Asia, visiting coffee plantations; and the Middle East, the historical home of coffee.